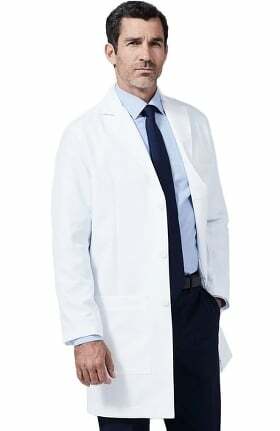 Medelita creates sleek and functional lab coats for the modern medical, dental or veterinary professional. 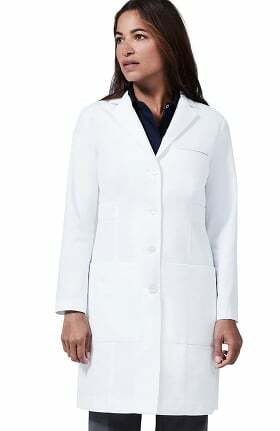 Lab coats for men and women are available in a variety of silhouettes, from traditional to updated. Features include notched collars, side slits for easy pant-pocket access, and large pockets, specifically made to accommodate an iPad or other tablet. Choose from several fit styles to find the best look and feel for your work environment. 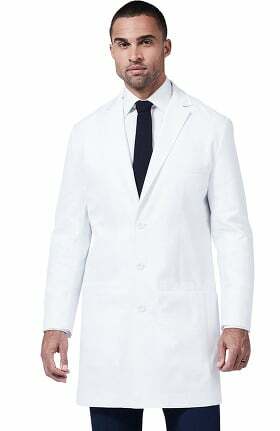 Both classic and slim fit lab coats look great over a scrub set or street clothing. Medelita's M3 lab coats are built to last through daily wear and tear as well as laundering. Advanced fabric resists pilling while repelling stains and fluids. 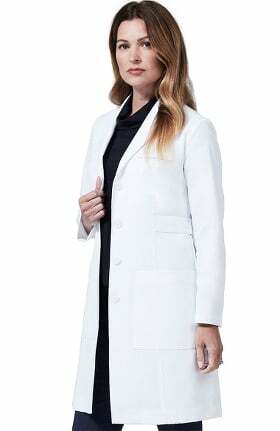 A polyester and cotton blend fabric keeps these lab coats breathable and soft, yet sturdy for construction you can rely on again and again. 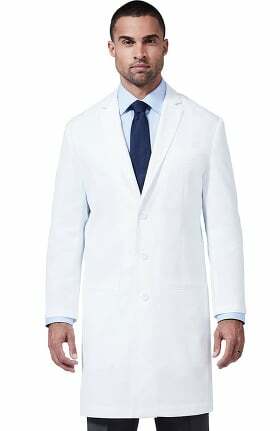 Look and feel professional with lab coats from Medelita.